One of our favourite places in Perth for a reliably delicious and wonderfully interesting brunch has been Mary Street Bakery (if you want to see our previous exploits you’ll find them here, here, and here) and so it was with mixed emotions that we made the visit in preparation for our move over East. 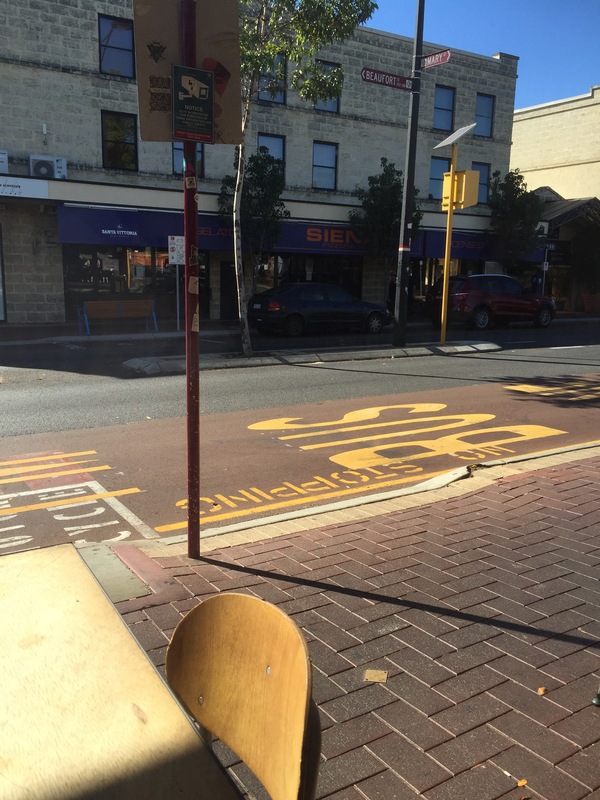 We were early enough to be seated inside along the window, a perfect location for people watching and basking in the morning sunshine. As with most of our coffees here, this Pound brew was delicious. 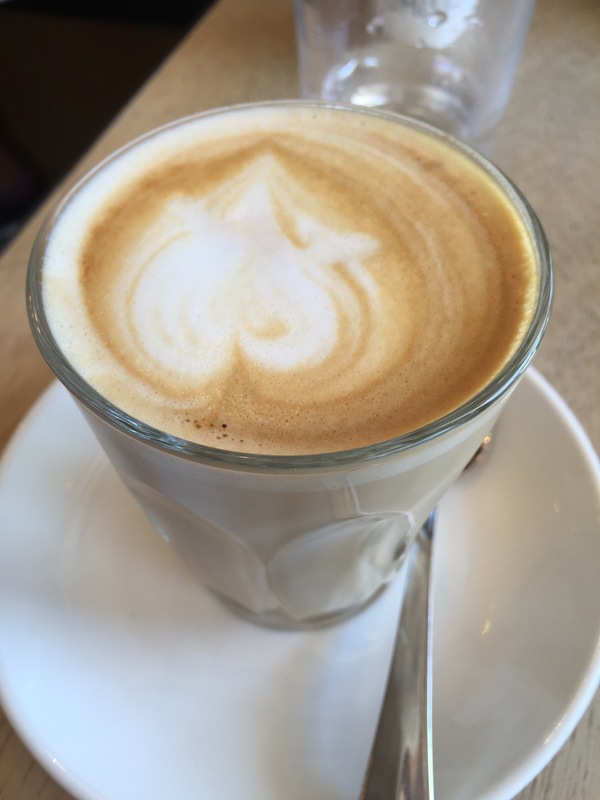 It’s hard to be as consistently good as their coffee tends to be and we’ll miss their creamy goodness! Their second coffees don’t fail to deliver either. Ours was smooth and creamy, a mellow flavour with a hint of honey and served hot, but not too hot. We also once again opted to try what we have affectionately nicknamed their ‘everything smoothie’. It’s a whole lot of fruit and a bit of love thrown in together. The serving was smaller this time but actually a lot more manageable, with lovely flavours, a great berry purple colour and without the iciness smoothies can sometimes get. The menu at Mary Street does change on a semi regular basis to highlight new feature items but the old favorites are generally still there. We went for a couple of the new dishes though, we are always keen to test our tastebuds on every available opportunity. 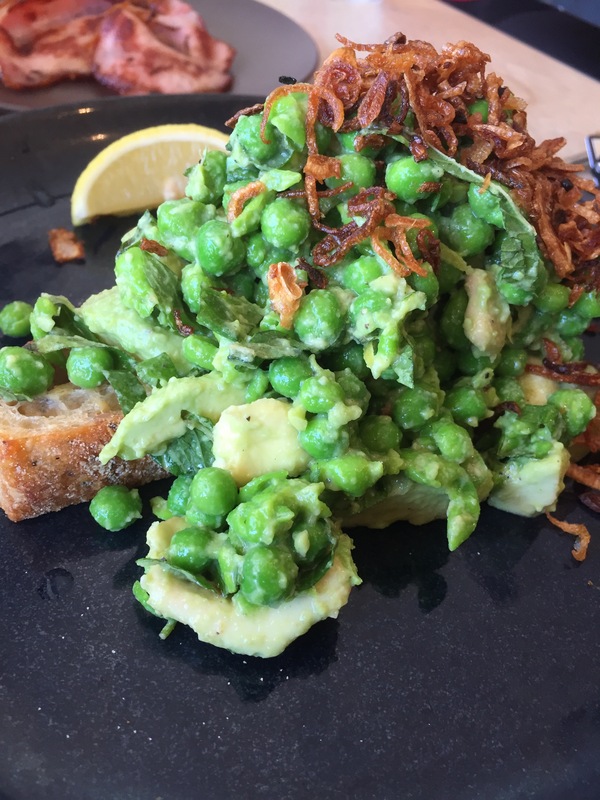 In the interest of our waistlines we started with a healthy choice, avocado and peas on toast with crispy fried shallots. It’s served cold with the option of adding a poached egg but we didn’t feel we needed one. This was a light and fresh dish, making you feel good inside and out and a change from rich and heavy breakfast fare. 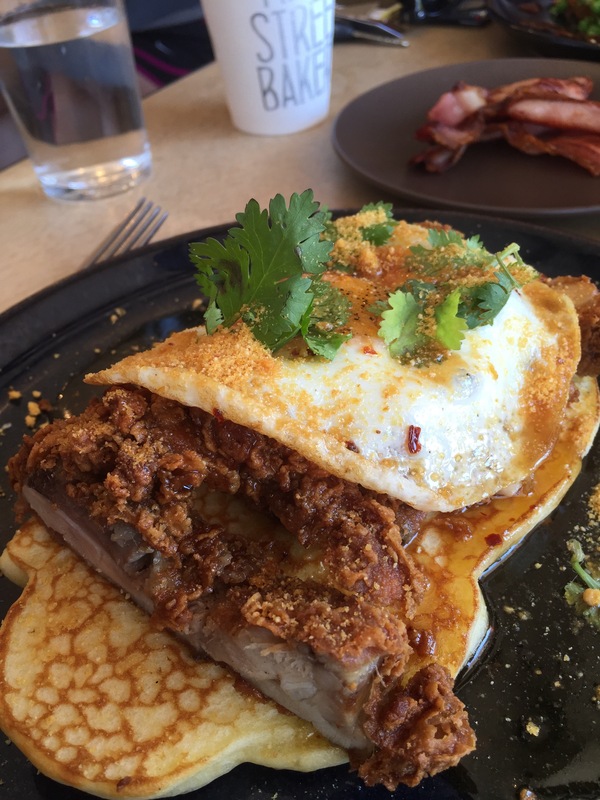 To ruin our good work completely we then went on to consume the mother of all dishes, the fried chicken and buttermilk pancakes. You may have seen our blog post at Mary st Bakery some time ago, where these pancakes featured, loaded with a chilli/maple sauce that coloured the dish red. Since then the dish has had a bit of a tone down and while there is the slightest hint of chilli the flavours are very much a mix of salty and sweet. For us the mix of salty and sweet was sow thing else. The chicken was so moist and crunchy, a bit salty with oozy egg yolk and maple sauce. The pancakes were soft and golden, served hot to the table. We had ordered bacon as a side on the suggestion of a waitperson but it really wasn’t necessary, the fried chicken was absolutely more then sufficient. This milder dish gets our tick of approval. 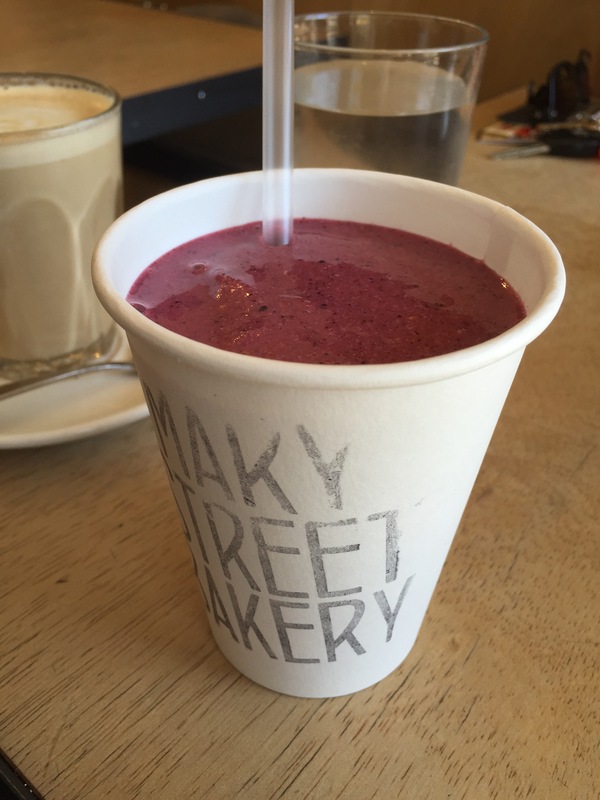 Mary Street Bakery, we (our stomachs) will miss you sorely!